I'm sure by now all of you are aware that the old good Google Calendar Sync is not supported any longer. And you don't need to have the third eye to understand at least one reason why they discontinued it. Microsoft and Google are the biggest competitors fighting for the leadership and market share, and all's fair in love and war… It's not only clear why we, users, should suffer. Anyway, apart from Google's Calendar Sync, there exist a number of ways and free tools to sync Outlook and Google calendars and hopefully this article will help you choose the best approach. 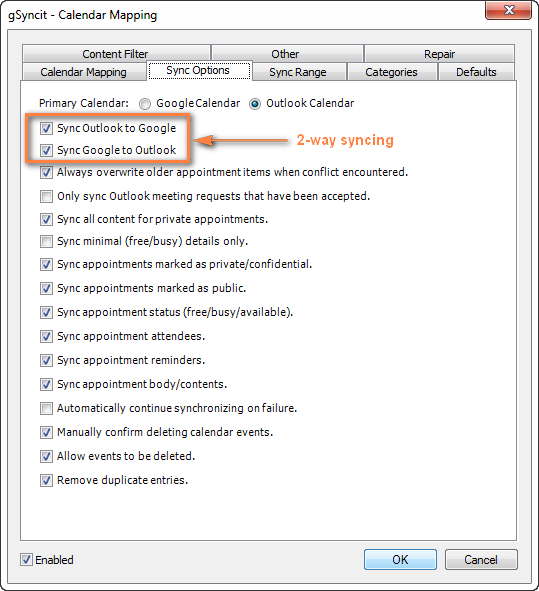 Using this method you can set up one way syncing from Google Calendar to Outlook. Outlook will periodically check the Google Calendar for updates, and if any new or modified events are found, they will be downloaded and displayed alongside with your Outlook appointments. Log into your Google account and click Calendar on the Google bar. If you are logged into your Gmail account, then you will need two clicks instead of one. As you probably know, about two months ago Google rolled out the new update and all of a sudden the Calendar button disappeared from the G-mail page's task bar. Anyway, click on the Apps launcher icon and select Calendar from the list of apps. Hover over the needed calendar in the calendar list at the left-hand part of the screen, click the drop-down arrow that appears to the right of the calendar name, and then click Calendar settings. This will open the Calendar details page. If your google calendar is public, then click the green ICAL icon next to Calendar Address. If it is private, click the ICAL button next to the calendar's Private Address. Copy the calendar's URL. Now you can paste this URL into any other application that supports the iCal format (.ics) and access your Google calendar from there. 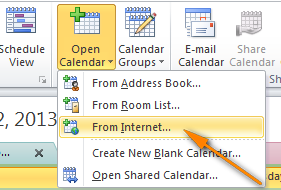 Open your Outlook and switch to Calendar > Manage Calendars ribbon group. Click Open Calendar button and choose "From Internet…" from the drop down list. Paste your Google calendar's URL and click OK.
On the File tab, select Account Settings twice. Switch to the Internet Calendars tab and click the New… button. Press Ctrl + V to past the Google calendar's URL, and then click the Add button. 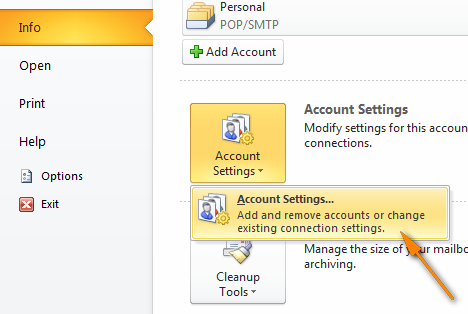 Click Close to close the Accounting Settings dialog. In the Subscriptions Option dialog box, type the folder name for the imported calendar and make sure the Update Limit checkbox is selected. If you want to transfer the attachments within your Google Calendar events, select the corresponding option too and then click OK.
That's it! 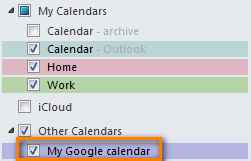 Your Google calendar has been added to Outlook and you can see it under "Other Calendars". Note! Remember that the Google Calendar imported in this way is read-only, the lock icon is displayed in the lower right hand corner of all imported Google Calendar's events, meaning they are locked for editing. Changes made in Outlook are not synced with your Google Calendar. If you want to send the changes back to Google Calendar, you need to export your Outlook Calendar. Google officially announced "Google Sync End of Life", including the Google Calendar Sync, last year. And on 1 August 2014, our good old Google Calendar Sync has finally come to an end, alas. Initially, this section contained a backup download link for Google Calendar Sync and instructions on how to make it work with new versions of Outlook 2010 and 2013. But since all that stuff is of no use any longer, we have removed it. I'm explaining this so that you won't be confused if you come across mentioning of that magic link in early comments to this post. Even if you find it somewhere else, it would be of no avail because Google Calendar Sync has stopped functioning altogether. So, what alternative does Google offer to us now? I guess everyone already knows - Google Apps Sync for Microsoft Outlook plug-in. This new sync app supports all versions of Outlook 2003, 2007, 2010, 2013, and Outlook 2016 and automatically syncs e-mail, contacts and calendars between Outlook and Google apps servers. It can also simultaneously copy data from a company's Exchange servers. Download Google Apps Sync for Outlook - on this page you can find the latest version of Google Apps Sync and watch an introductory video that will help you quickly get started with this plug-in. 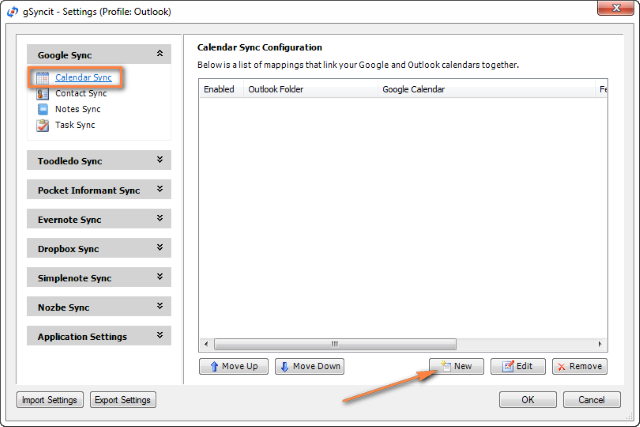 Work with your Google Calendar in Outlook - detailed guidance on how to set up and use Google Apps Sync with Outlook 2016 - 2003. In this section, we are going to look into some free tools and services and see what benefits they provide. You may consider using this free service as an alternative way to handle your Google and Outlook calendar synchronization. A really nice feature is that it allows two-way syncing, i.e. from Google to Outlook and in the reverse direction. Synchronizing between Google and iPhone is also supported, which adds one more argument in favor of SynqYa. Sign up for a free synqYa account. 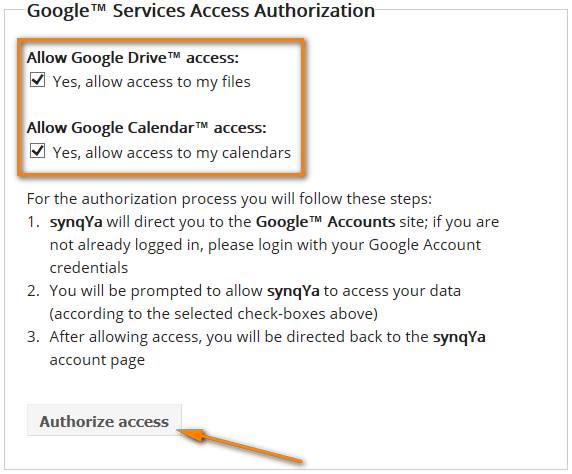 Authorize access to your Google calendar. Wrapping up, this service seems to be a decent alternative if you don't have the admin rights on your computer, or if you are reluctant to install any Outlook add-ins, or if your company has a strict policy with regard to installing third-party software in general and free tools in particular. SynqYa Pros: no client software, no installation (admin rights are not required), syncs Outlook, Apple iCal and other calendar software with Google Calendar. 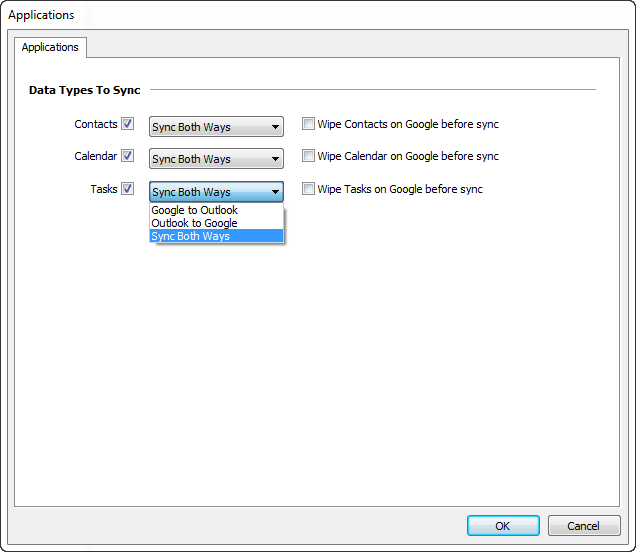 SynqYa Cons: more difficult to configure (based on our blog readers feedback); syncs with one calendar only; no option to check for duplicates, meaning if you have the same appointments in Outlook and Google, you will have these entries in double after syncing. 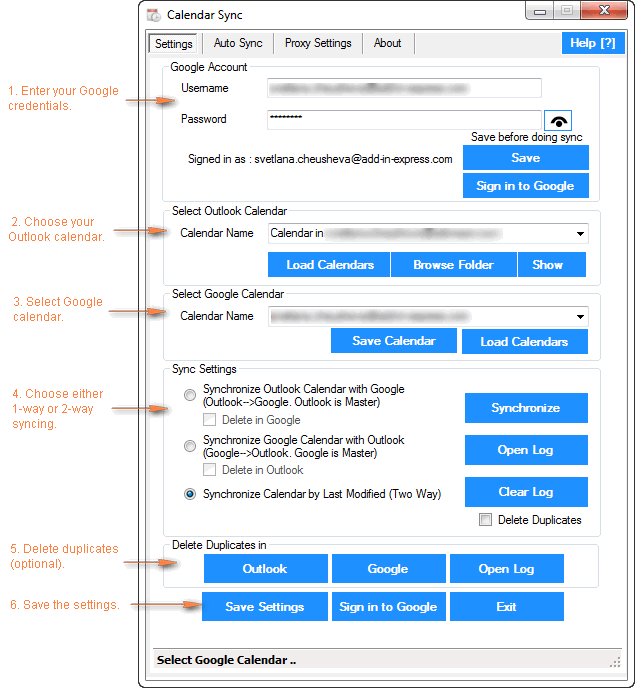 Calendar Sync is free software to sync Outlook appointments with Google events. It supports one-way syncing either from Outlook or Google as well as 2-way syncing by last changed appointments/events. It also lets you delete duplicate items in Outlook and Google calendars. Outlook 2007, 2010, 2013 and 2016 are supported. Calendar Sync Pros: easy-to-configure, allows 1-way and 2-way syncing, a portable (zip) version is available that does not require admin rights and allows using the proxy settings. Calendar Sync Cons: Free version allow synching appointments / events only within a 30 day range. I have to say that I did not try this tool personally, but the manufacturer warns that this project is currently undergoing a lot of development and therefore bugs are inevitable. Initially, I did not plan to include any commercial tools in this article. But now that the former top player (Google Calendar Sync) is out of the game, it probably makes sense to review some paid tools as well, and see how they compare to each other. Below you will find a quick overview of the syncing tool that I tried personally. I will probably add some more tools in the future if you find this info useful. This application can synchronize calendars, contacts and tasks between Outlook and Google and lets you select the categories to be synced. Also, it does support syncing of multiple calendars, which is a big plus. The tool works with all versions of Outlook 2016 - 2000. The configurations process is very straightforward and you will hardly need any guidance. I will just point out a few key steps and features below. To start configuring, you can click on the Settings icon in the CompanionLink group on the Add-ins ribbon tab in Outlook, or click the CompanionLink icon on the desktop, or find it in the programs list. Clicking the Settings button under Google will display the "Google Settings" dialog where you enter your Gmail credentials and choose what calendars to sync - the default one, selected, or all. And finally, you can click the Advanced button in the lower-left corner of the Settings window, switch to the Auto Synchronization tab and select the time when you want to have the items get synchronized automatically. You are all set now. Of course, you can switch between other tabs and play with other settings if you want to. For example, you can set the Category Filter on the corresponding tab. The Mac version of CompanionLink is also available that supports 2-way syncing between Mac and Google. If you are interested to try the CompanionLink syncing tool, here is the product's page - CompanionLink for Google. A trial version is not publically available, though, and you would have to provide your email address to get it. I personally hate this practice, but they probably have some reasoning behind it. Currently CompanionLink offers two pricing models - one-time license for $49.95 or 3-month subscription for $14.95. CompanionLink Pros: feature-rich, easy-to configure; supports 1-way and 2-way manual or automatic syncing of calendars, contacts and tasks; can sync multiple calendars; the company provides free phone support. CompanionLink Cons: only paid version is available, complicated procedure to get a trial. gSyncit is an add-in for Microsoft Outlook purposed for syncing calendars (as well as contacts, notes and tasks) between Outlook and Google. It also supports synchronization with Evernote, Dropbox and some other accounts and lets you edit Google calendar events imported into the Outlook calendar. Automatical syncing is disabled in the free version. So, currently an unregistered version of gSyncit can be used for evaluation purposes only, alas. If you want to remove the above limitations, you will have to buy a registered version. You start by clicking the Settings button on the gSyncit tab on the Outlook ribbon. In the Settings window, choose what items to sync on the left pane and then click the New button. Click the Verify Account button to enter your credentials and verify your Google account. 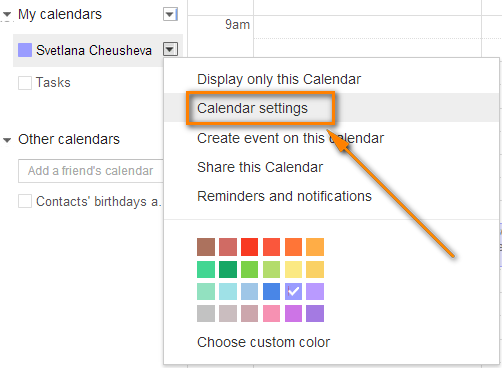 Click Select Calendar… under Google Calendar section to get the calendar URL. 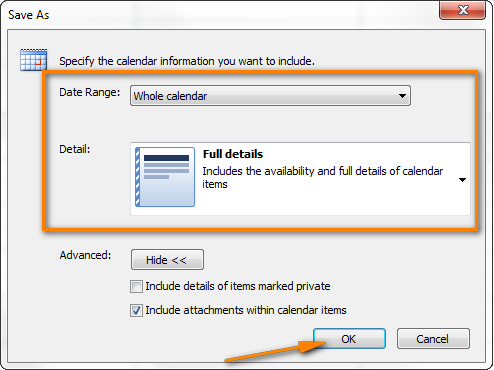 And finally, click Select Calendar… under Outlook Calendar section to choose the Outlook calendar you want to sync with. It may be something like "\\personal folder\calendar" or "\\account_name \calendar". Of course, there are a handful of additional options on other tabs, but in most cases the settings on the Sync Options tab absolutely suffice. Now you only need to click OK to save a new mapping that will link your Outlook and Google calendars together. Once a new mapping is created, you simply click the appropriate button on the ribbon and your Google calendar will get synced with Outlook straight away. 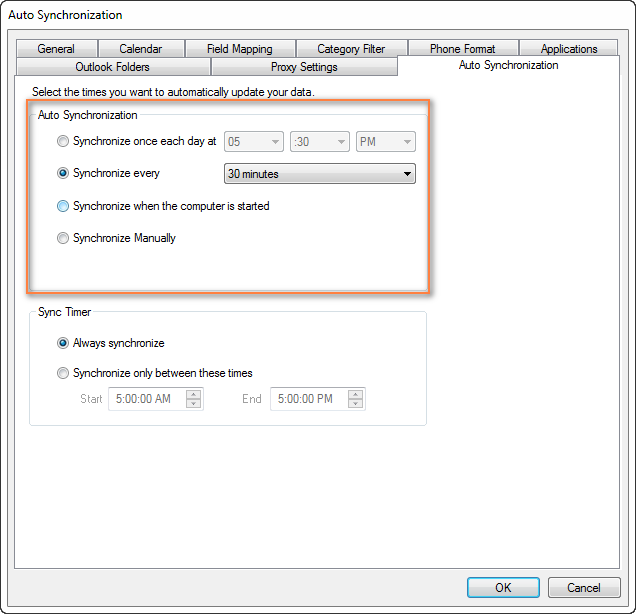 Synchronize all appointments or within a specified time range only (Sync Range tab). Sync Outlook appointments from certain categories only (Categories tab). Remove duplicate appointments (Sync Options tab). Summing up, if you are an active user of both calendars, gSyncit is definitely worth your attention as a tool to automate Outlook and Google calendar syncing. gSyncit Pros: easy-to-configure, allows 2-way syncing of calendars, tasks and contacts; additional options such as pre-configured automatic syncing, removing duplicate items etc. gSyncit Cons (free version): displays a pop-up window on Outlook start preventing Outlook usage for 15 seconds, supports syncing with one Outlook calendar only, synchronizes 50 entries only, and does not sync deletes. 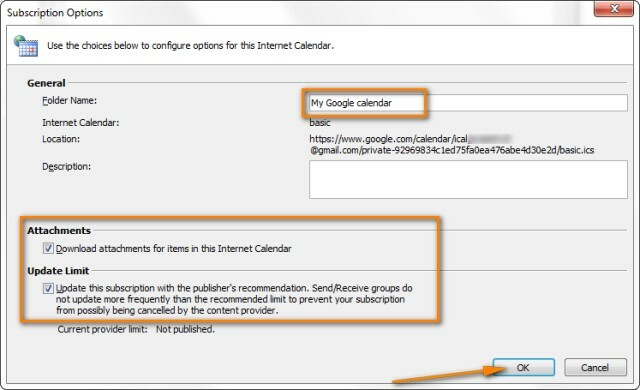 Using this method you can transfer a copy of your calendars in the iCalendar format from Outlook to Google and in vice versa. However, the imported calendar snapshots are not updatable and you need to get a new snapshot every time the calendar gets updated. This does not seem to be the best approach if you are actively using both calendars, though it may work if e.g. you plan to get your Outlook calendar into Gmail and then stop using Outlook. Copy the Google Calendar's URL as described above (Steps 1 -3). Click the calendar's URL that shows up. 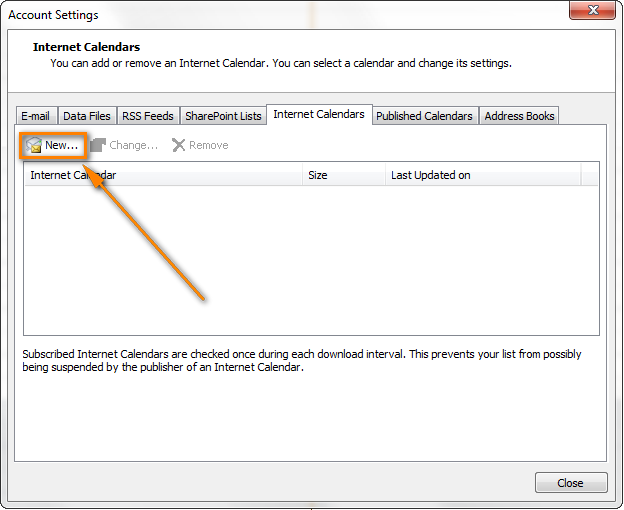 When the basic.ics file is downloaded, click on it to import the calendar into Outlook. The imported Google calendar will open side-by-side with your Outlook Calendar and will be available under Other Calendars. Note: The imported calendar is static and it won't update. To get the latest version of your Google Calendar, you should repeat the steps described above. Alternatively, you can subscribe to your Google Calendar and have it updated automatically. In Outlook Calendar, select the calendar you want to export to Google to make it the active calendar in the view. Switch to the File tab and click Save Calendar. Type a name for the iCal file in the File Name field. Click the More Options button to specify the date range and detail level. Tip: Click the Advanced button for two more options: 1) whether to export private items and 2) whether to export attachments within your Outlook calendar items. If you choose the latter, be aware that this might significantly increase the size of the iCalendar file. Click OK to close the More Options dialog and then click Save. That's it! You have performed all needed steps in Outlook and now let's finish the process on Google Calendar's side. Log on to your Google Calendar account. Click the little black arrow next to My calendars and choose Settings. Under Calendar, click the Import Calendar link. Click the "Choose File" button and browse for the .ics file you have created earlier and click Open. 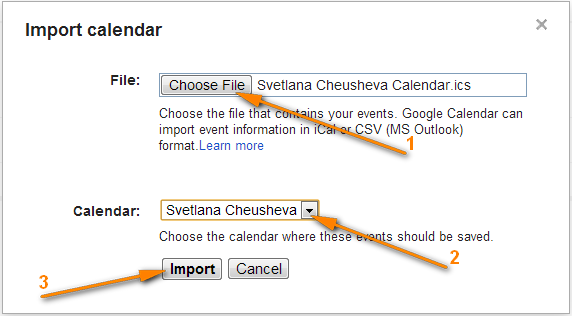 In the drop down box next to Calendar, choose the Google Calendar where you want to import your Outlook appointments. Click the Import button to finish the process. Note. Similar to Importing a calendar from Google into Outlook, the transferred calendar is static and won't update along with the changes you make in Outlook. 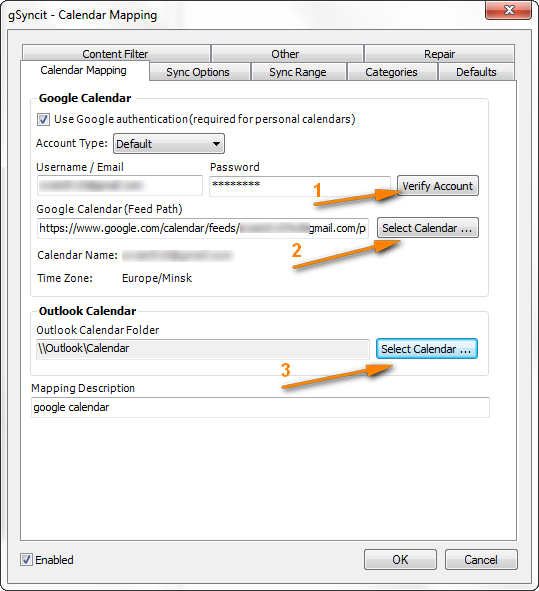 To get the recent version of your Outlook calendar, you need to repeat this procedure. Well, in this article we've covered several tools and techniques that will hopefully help you sync your Google calendar with Outlook. If none of them meets you requirements in full, you can check out various paid services, such as OggSync, Outlook Dav, Sync2, GooOut and many others. Important Note! Please be sure to use only one syncing method described in this tutorial at a time, or else you may end up having duplicate calendar items in Outlook and Google. You can find more details about the tools and download their trials by clicking the links above. Just give them a try, and these plug-ins will speed up and improve your Outlook experience in so many ways! You can buy any of the tools separately or as part of Plug-ins Collection. And don't forget to grab a special coupon code that we created especially for our blog readers. Use it on the order form and get the 15% discount on any products: AB14-BlogSpo . And this seems to be all for today, thank you for reading! 452 Responses to "Sync Google Calendar with Outlook 2016, 2013 and 2010"
All I want is a read-only copy from Outlook to Google. The problem is that I'm on Mac with Outlook 2011 so I can't find any webdav support for SynqYa, and most of these other apps are Windows only. Today I'm just using the ICS option, but it doesn't update frequently enough. Any suggestions? CompanionLink Sync for Mac is the only software that I'm aware of (http://www.companionlink.com/mac/). It is paid (one-time fee USD49.95) but unfortunately I do not know any free tools. Had not realised that Google Calendar Sync was now defunct and just thought I had an error. Then I found your wonderfully helpful article. I have downloaded the free version of GSyncit and it is perfect. Just does the job. Very helpful instruction. Thank you! But, this appears to be a read-only display...is it not possible to create appointments in this imported Google calendar within Outlook? What software or method did you use to import your Google calendar to Outlook? In another blog a chap had been having problems syncing appointments he made on his phone back to Outlook via gSyncit although appointments made the other way (ie Outlook to phone) were working fine. In the end, the solution was a simple one: when making appointments on the phone he was just adding them to "My Calendar", not to the calendar that was actually linked (on my phone this is a blue bar tap option at the top of the appointment screen). The lesson: check the obvious first! Still a great blog, Svetlana - it needs to be plonked in front of Mr GoogleMcScheister's nose to realise what a pain in the derrier cancelling GCS has been for so many people, and how much revenue he's lost - a simple $5 charge for GCS would have generated millions. Thank you very much for this tip KathNich! You are so right about "check the obvious first!" BTW, this blog is turning into a valuable knowledge base on different aspects of Outlook / Google calendars syncing, all thanks to your feedback. And I want to say a very warm "thank you" to everyone who shared experiences and thoughts here! I contacted gSyncit's support team, but for them it's normal to decrease my security level on my Google account. Nobody has the same problem ? For them, this problem will be corrected in the version V4. David who ran into the same issue reported they had already fixed it in v.4. Please see comment 181 above for more info. Thank you so much for all of the great info. Thanks to everybody else for sharing info. Based upon reviewing the posts, I downloaded the paid version of Gsyncit. Works fantastic!!! Problem solved as I'm using Outlook 2003 for my back up of my google calendar and contacts. I'll post any issues if I encounter them, none as of yet. I tried synqYa (don't bother) and then found gSyncit works great! I'm using the free version. I have one Outlook calendar and gSyncit was easy to install and setup and works great! Note I'm only using calendar sync in gSyncit. Contacts/tasks have many limitation unless you buy the full version. I continue to use "GO Contact Sync Mod" to sync my Outlook and Google contacts. Since I usually "Hibernate" my computer rather than shut it down, I don't often have to restart Outlook so the 15 second delay using the free gSyncit is no big deal. I downloaded GSyncIt but am having an issue. Calendar invite from others are stuck in recurrence mode. So, even though the invite is for an hour, it repeats every day, or every week. Did anyone else run into this issue? A - for me - serious limitation of SynqYa is that it will only handle events up to 60 days in the future. That is not sufficient. My planning horizon is substantially longer than that so it does not work for me. A pity. Thank you so much for giving us a replacement for Google calendar sync. I downloaded GSyncit, followed your instructions, and it works perfectly! THANK YOU! I must have missed the "we aren't supporting this" notice. When it stopped syncing I followed the link in the warning but it didn't say anything about google calendar sync . . . just a bunch of stuff about setting it up. Downloaded gsyncit and it's working great for my one calendar. Has anyone tried CompanionLink for Google and if so how is it? Now that the Google Calendar Sync has stopped working I found a replacement Outlook4Gmail. Although it isn’t free it works great, actually better than Google's own product did. Has anyone tried Sync2 and if so what are your thoughts? On GSyncIt is the $19.99 a yearly fee or a one time charge? I couldn't locate anything on their website on that. Thank you. On GSyncIt, $19.99 is one time charge. Excellent article, and great help. Awesome people like you make the (internet) world go around...! You save me...and my calendar's sync ! I am using GsynIt and it is working perfectly. I bought the licence on the 8th August and I am still waiting for my Key (On their web it is 3-5 business days). After several years using Google calendar, I have just changed to an Exchange calendar. No more sync issues with Google calendar! Hi Svetlana, Thank you for the information. It is greatly appreciated. Yes thank you! As it seems, Google Calendar Sync finally poo'ed out on me after many, many years of happy synching. The error box will not go away and my calendars are about a week out of sync; I'm so sad *sniffle*. Looking forward to using one of these solutions and getting back on track! I went ahead and purchased the full version of CompanionLink and its not all roses! It should be noted that the synchronisation process takes a lot of time (20 minutes with house DSL WiFi); something to consider if you're thinking it will update every 30 minutes - might be taxing on resources. Also, the software does NOT allow you to edit the Gmail calendar from Outlook - not that you suggested it it, but just a clarification. Like Torri, I have persistent message that can't be deleted. Thank you for your feedback! 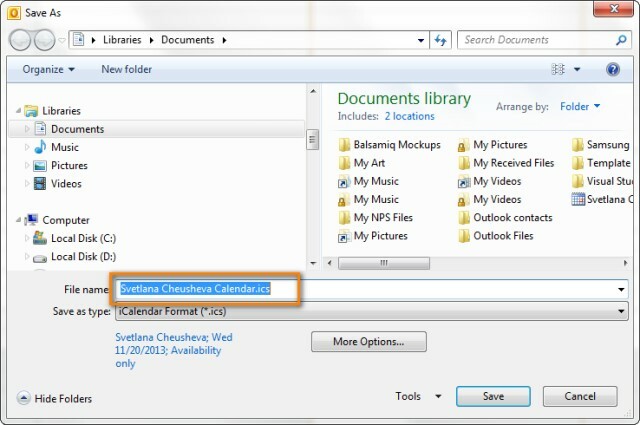 CompanionLink support states that all calendar data in Outlook is read and write. sorry, I cannot check this personally because my trial has already expired. Thank you, thank you. Super helpful easy clear instructions. I've been using Googlesync for years. I loved it, worked great then I heard they were not supporting it about a year ago, but it still worked great. Then I get an e-mail saying that they are going to discontinue it altogether in August. Well seeing was believing and sure enough, sync no longer worked in August. I really depend on my calendar to sync between my phone, work computer and laptop. Huge scheduling issues. Started googling solutions and wasn't finding anything useful until I cam across your great article. I purchased gSyncit for my work and laptop computer and it works like a charm. The only minor issue on instruction is that in your picture you show the Outlook Calendar as \\archive\calendar. I had to use \\personal folder\Calendar to make it work. Great job Svet, I'm sure you will get a lot of responses since everyone will now have to make some changes. BTW I looked into GoogleApps which cost $60-50 per year and you have to go get a domain which I don't have or need. You should get a commission on sales with this great write-up. Thanks so much!!! Thank you very much for your feedback. \\archive\calendar is a good catch! I tried gSyncit on my backup calendar first, and forgot to re-do the screenshot later. Thanks again for pointing this out, fixed! Thank you so much! Your article saved me. I'm enjoying gSync. Thanks again for your help. The article has been very helpful and is very up-to-date. Thanks for taking the time to share this information. Just purchased gSyncit and it seems to work as promised. One glitch; had to set Google to allow "Less secure apps" to access my account (Google names MS Outlook as an example of a less secure app). Thanks for your help; I probably wouldn't have gotten here if not for your instructions. A few users have mentioned that the "Less secure apps" issue is solved in version 4. As stated on their page, GSYNCIT v4 is coming on August 15th, 2014 and PRE-RELEASE-BETA is available now. its so good to have you. My world was shaken when I read about the discontinuing of Google's calendar sync tool and its apparent only successor Google Apps...until I came upon this site. I am too an extremly reluctant person and as many, I don't want to pay money for something that isn't proven to be a blast. The gSyncit tool spoke to me the most among the introduced Google calendar sync tool alternatives and I tested the trial version. I must say, after a few successful tests, it left a stable and convenient impression and I made peace with the 20 bucks licence fee very quickly. It's just what I need and even much more, so I didn't hesitate spending the money. As far as the settings complexity goes, I didn't have any trouble setting it up. The preferences are neatly structured and allow the user to stay in detailed control of the software's behavior. I can highly recommend it to anyone who doesn't like leaving things to chance. I don't think, I would have made it without your great work and the constructive posts of so many people that had the same problem. Thank you very much for sharing your impressions about gSyncit and for your kind words! Getting such comments is the most pleasant part of a blogger's job :) I am also glad the Internet really makes it a small world and so many nice people from all over the world have come to visit us. I've already said this many times and want to say it again - a HUGE thanks to everyone who has read this blog and especially to those who have taken a minute to post feedback here! Thank you, thank you, thank you for giving me so many options for keeping my life organized... I mean for helping me keep my Google calendar synced with Outlook. I chose the gsyncit tool and if it works as well as it did in the first trial run, I will purchase it. I greatly appreciate this informative blog! I join every word (OK, almost, as I stayed with the free version) that Luke wrote (#228), especially referring to you great supporting job you are doing here. Thanks, Svetlana! I just installed the free version of gsynchit and it works better than the google product! Simple to install and easy to configure. Thank you, thank you, thank you! I cannot thank you enough for this article, TREMENDOUSLY helpful. THANK YOU! I tried the trial version of CompanionLink and I'm still trying to fix my calendar. It DELETED any recurring event that was not in its usual time. So a recurring Tuesday 10:00 am appointment that got moved to 11:00 on one day was deleted. I missed some very important meetings because of this. Also deleted other events and I don't see the pattern for those. Duplicated other data, especially birthdays. It was a nightmare. Also took forever (hours) the first time it did the sync. Subsequent syncs would seriously bog down my computer. Given the good reviews it gets, I was really unprepared for this. Beware! So, I'm about to try gSyncIt now. Fingers crossed. Thanks Svetlana for the awesome reviews and to everyone for all the helpful comments. Thank you so much for this information! It was very helpful. I am trying out Gsyncit. I have not tested it personally, however some of our blog readers tried it and posted very positive feedback (please see comments 142, 195 and 215). Many thanks for the awesome site! The developers claim the issue is fixed in version 4. Have you tried it? I tried gSyncIt free version to sync Outlook and my Google Calendar. The GSyncIt has a lot of features beyond just calendar syncing which I do not need, so I couldn't justify the $20 cost. Also, the free use pop-up when launching Outlook is annoying. I sent a email to fieldstonsoftware.com is ask if they had a slimmed down version for less cost since their software was over-priced for the single feature that I needed. I received a very rude and unprofessional response from their sales department => Dave. I immediately uninstalled gSyncIt from my computer and will never do business with Fieldstonsoftware again. I just found your site and am not a technical person. I am struggling to fix the syncing of my Outlook 2010 with my Google calendar and my android phone. I need to make sure that when I am on the go adding or changing appointments in my phone things get changed in my Outlook calendar and vise versa. The same goes for my contacts. One item that I didn't see addressed above was security. I do have confidential information in the note section in my Outlook contacts. Could this be compromised during syncing? Thank you for this post. I used the first solution for getting my google calendar on outlook. Once outlook is showing the calendar, do you know how to make multiple calendars show up on the same calendar instead of different tabs? Thanks again for the GREAT post!! Regrettably, the first solution described in the article does not allow placing all calendars on the same tab. I am not even sure that paid tools can do this. Hello "Svetlana Cheusheva" Do you think its safe to sync Google cleader with this app ? http://i-book-u.com/ ? I'm just concerned! Sorry, I have no idea, this is the first time I see it. I've downloaded the gsync v4. I tried to use it in evaluation mode. I want to sync only the Google and Outlook calendars. Unfortunately, the sync from G to O works but the O to G doesn't. What might be the problem? Hi. Question. Has anyone tried any of the free / public domain calendar sharing applications? I've tried a couple of them, but they want my google account password and I'm not comfortable with sharing that information with a shareware application. Anyone have any comments of experience? Thank you very much for your article and for the updates, it helped me a lot!!! "I sent a email to fieldstonsoftware.com is ask if they had a slimmed down version for less cost since their software was over-priced for the single feature that I needed. I received a very rude and unprofessional response from their sales department => Dave. I immediately uninstalled gSyncIt from my computer and will never do business with Fieldstonsoftware again." With all due respect (and I am not affiliated in any way with FieldstonSoftware), you were essentially asking for a special "slimmed down" version of their software for a low-ball price, having paid nothing, then saying you'll never "do business" with them again. The reason I bring this up is because I have found the developer of this software very responsive in the forums. I also own the software - and while not happy about having to purchase software to return functionality to my digital life that used to be free through GCS, I must say that gSyncIt is worth every penny. The software is built to perform an important task in an area that risks the ire of anyone who demands precision in scheduling and contact maintenance (high pressure business people?). I cannot imagine that is an easy order to fill. The architecture of the software no doubt took considerable time and effort to build, and at only twenty bucks, the developer is certainly not dishonorably fleecing his customer base so he can retire to a tropical island villa. I really am not intending to disrespect William's views, and perhaps the conduct of gSyncIt in conversation was less than professional. I do not know. But my experience with gSyncIt is different - and it is very clear that the developer is quick to help customers with questions on the open forum. I think the readership here should know that. Supporting developers is certainly not a charitable pursuit, but I am grateful for the continued attention given to this software and fully understand that even at $20, it's truly a bargain for anyone looking to keep their data in sync. Today, I just got another update to the software. I paid my twenty bucks weeks ago. The developer is still working for it. It works much better and it replaces the calendar on my Android device just fine. You need to install outlook.com on your Android device. Contact Syncing is still a problem. I use Go Contact Sync for that, but it is not flawless. I will from now on avoid supporting Google in every way I can. They have dropped me once, I will never trust them again!!! If I could, I would move to WP. They do not have my Applications unfortunately, but the moment it will be possible, I will drop Android!!! After end of Google Calendar Sync support, I was in trouble. But because of you, I can sync it again. Excellent post! You details are fabulous!!! My recommendation – Sync2, desktop app for all your devices. It allows to synchronize multiple Outlook Calendars, Contacts and Tasks with your Google Accounts, set up two-way or one-way synchronization, choose the sync direction and more. Nicely done! No gaps, no why isn't this working moments. Just straight forward accurate instructions with good visuals. Thank you. Great Article! Regarding the one-way read-only method that you describe for Outlook 2010 and 2013: will this work with Outlook 2003 ? In theory, this method should work in Outlook 2003 and 2007 as well because protocols are the same in all Outlook versions. Though, I do not have Outlook 2003 and therefore cannot test this to state with 100% certainty. I am using Outlook 2003 with gsyncit and it works flawlessly 2-way. There is now an update that is free if you purchased the program for $20 anytime this year that you can upgrade for free. Thank you for your article, it was very interesting and helpful! We use Google Apps and Outlook 2013. We need to schedule technicians into different calendars, so I open all gmail calendars (tech teams) side by side in Outlook and I would like to move appointments from one calendar into another by dragging them. This doesn't work with gasmo (not supported). Gasmo cannot sync items when they are being dragged. Se delete and recreate is the only time-consuming option. Do you know if any of the tools mentioned in the above article can solve this? You can use evo collaborator for outlook, it can sync with multiple google calendars and you will be able to do move/copy from one to another. Great job, Svetlana! Thank you and thanks to all the other posters who helped me solve the problem of what to do after the demise of GCS. I installed gSyncit to sync my calendar only (at least for now). It was a relatively simple process and it did a great job of syncing without duplicating appointments. I am using the trial version but will probably pay Fieldston Software $20 for the full version if it stays solid. Thank you, for this excelente post. 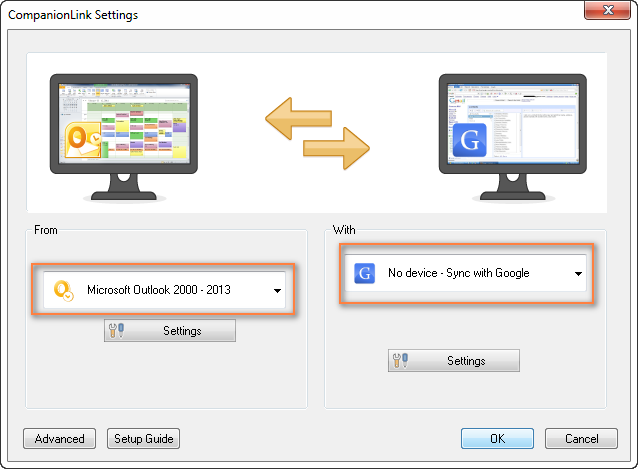 For those who are unable to sync gmail with outlook goto link below. Be aware that the free trial version of gsync is down from now! Since November 17, the link between gmail and outlook calendars is broken in the trial version of gsync (it was solved in the shareware version only). So let's abandon gsync! With the forced update from gsyncit V3 to V4, Fieldstone quietly took away the ability to automatically sync using the free evaluation version. Also, when you start Outlook with the free version, I get TWO popups, one after the other, which have a delay of 15 seconds and 10 seconds respectively before I can click on "Use Evaluation". Is that normal? The free version of Gsync4 is no longer very usefull. Does not sync automatically, does not sync deletes. So please change your passage on your website so reflect these changes that make the free tool useless. The unregistered version is limited to synchronizing one Google and Outlook calendar, synchronizing 50 contacts/note/tasks entries and does not sync deletes for contacts/notes/tasks entries. Automatic synchronization is also disabled. Registration will remove these limitations and remove any registration/nag dialogs from the application. Thank you for this info. The recent changes make a free version of gSyncit useless. I will update the article in the next few days, thanks again for the caveat! 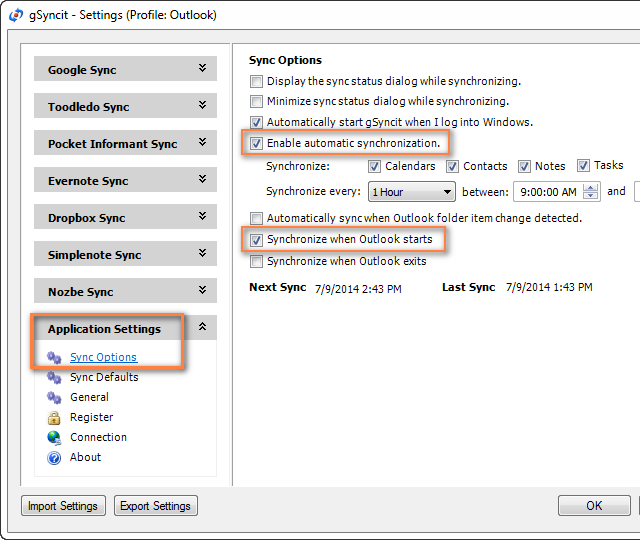 I've manage to get "auto" sync by marking the "Automatically sync when Outlook folder item change detected" option. gSyncit failed it's current users by allowing it's program to become useless. They are forcing everyone to move to new v4 but not before forking over $9.99. It quietly moved to an upgrade rather than offering it as a fix. I purchased the program last year for $19.99 and now I'm told I have to pay for the new version. Makes you want to remain a loyal customer, right?? They have also added one-way support for Outlook 2003/2007 (alpha release). Good luck! I have 1 computer and want to sync to my galaxy phone. What is your suggestion for sync program? Not sure if this is the right place to ask but I have notice that with one of my gmail address I have some emails that goes directly into my spam folders. I have never use any filter or anything else with Outlook and for some strange reason with one particular sender it doesn't happen on a different gmail address. Can you tell me how to make sure that these emails goes directly into my inbox. In the above email I indicated spam folders but it should read delete folder. I've been using Companionlink for Google for months to sync my Outlook to Google Calendar, and will be switching to another program. When it works, it works well. However, there are too many times when it inexplicably either deletes my appointments, or duplicates them. I'm also afraid to upgrade to their newer builds because I've had Companionlink delete apointments. Their tech support is helpful if you don't mind waiting 20-30 minutes on the phone. I cannot find any rhyme or reason to why their software behaves the way it does. Their tech support always gives me the reason that it's because Google's API is constantly changing. I was willing to believe them the first 2 or 3 times this happened to me, but I'm too frustrated now. Is gSync v4 the way to go? Does it work the best with syncing my Outlook calendar to GCal? Is gSync able to keep the same calendar colors that I use in Google Calendar? I have a few different calendars in Google and want the same colors in Outlook. I am struggling with synching the calendars. I did the above step, but now its just added the google calendar in addition to my default on outlook. I want my google appointments/calendar invites etc to synch with my default outlook. How do I do this? does it run office 365 as well? Nope :( Only on desktop versions of Outlook. Great Article! Very well written! Excelent post. It answer all my questions. I've consulted this post several times, and I've found it extremely valuable each time. Thanks! If you find time to update this article,consider adding "Calendar Sync Plus (Codeplex)" for your review,The app will cover wide range of use cases regarding sync. Hello, after reading this remarkable paragraph i am also happy to share my know-how here with friends. Hi, would you please review GO Contact Sync Mod? It seems it does both: sync contacts and calendar. Like another user pointed out. EVO Collaborator for Outlook worked for me regarding the Gmail > Outlook sync. I think its worth a try to check out this plug-in if you are having some issues with synchronization. Just wanted to say thank you for a comprehensive, well documented, chock-full-of-choices article that allowed me to pick the right solution for my needs. I tried to sync my gmail calendar with URL adress, but it wount import my calendar. I have outlook 2010. Status keep staying "pending"
The original post is not showing up, is there an update? I desperately need to sync my outlook calendar to my lg g3 android smart phone. Nicely written. Very useful and accurate, saving a lot of time and frustration. I read some of these article is really useful. Anyways, I have some concerns with my end-user needs to get gmail's calendar syncs with outlook when they modified on each of both sites but they cannot edit or update any appointments. I can do import/export but this is not so convenience. Do we have another way to solve this? Servicios prestados: Venta directa de electrodomésticos al mejor precio, reparación de frigorífico, instalación de horno, reparación de aire acondicionado, reparación de secadora, instalación de Vitrocerámica, reparación de lavadora, reparación nevera, reparación de nevera, reparar nevera, instalación de lavavajillas, reparar frigorífico, instalar lavadora, reparar frigo, instalar horno, reparar lavadora, instalar Vitrocerámica, reparación de vítro, instalación de lavadora, reparar vitro, instalar lavavajillas, instalación de secadora, instalar secadora, reparación de frigo, instalación de secadora, reparar secadora, reparación SAT, SAT electrodomésticos, técnico de electrodomésticos, venta de frigoríficos lavadoras, lavavajillas, secadoras, hornos, Vitrocerámica, campanas, etc. Nuestro servicio de Urgencias, no tiene coste adicional, de tal manera que junto con nuestro DESPLAZAMIENTO GRATUITO si repara, hará que su lavadora Edesa, vuelva a funcionar como el primer día al mejor precio posible en Madrid. Nuestro equipo técnico posee conocimientos actualizados y experiencia, garantizados por una amplia formación técnica y de producto, así como cursos de actualización. Hello, Good article, thanks!!! One question, all these solutions are based on PC or Mac implementations. I need something that runs all the time, not just when my computer is on. I may go a day or two and not be able to use my computer, but need updates on my phone. Is there a service that can do this for me at regular intervals? Please I have a big problem after using this app i tried to import some folders contain very impotent emails but i can't find any thing. Is there any way to retrieve my mails? Thank you - worked great for me. Much appreciated. Thanks for another great article Svetlana! 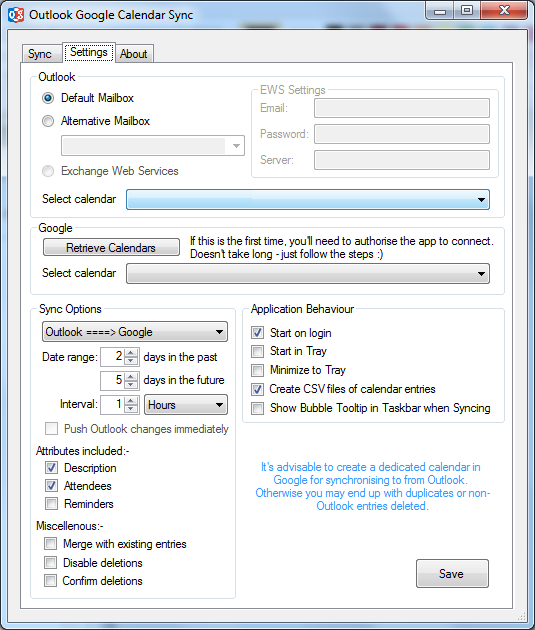 Another free contact & calendar syncing tool for use between Outlook and Google is: "GO Contact Sync Mod". I've been using this free software on a client's machine for 2 years now - it was easy to setup and worked without problems the whole time. I'm testing this software on a Windows 10 machine (1709) and with Office 365 Outlook 2016 and all seems to be working perfectly so far! Outlook Google Calendar Sync works great! Thanks for this. Using Bi-Directional Sync. Items to go to Google from Outlook at put in a category so that only what I need to go to Google gets there. I have a problem with Go Contact Sync Mod. It syncs appointments only one way (from Outlook to Gmail). However, if I add an appointment to my cell phone, it never appears in Outlook, although it appears in GMail. So apparently something is wrong with Go Contact Sync Mod on my computer. Can somebody help? Hi Svetlana, Came across this article and find it very useful and helpful so 'thank you'. I have been using OGCS for couple of years and didn't have any problem. Now suddenly my two (most critical) meetings are showing wrong time in Google. All other meetings are showing at the right time (start and end) but these two meetings are not. My company don't allow Outlook synch with Android phones so that's why I use OGCS to copy all my meetings from Corp Outlook to Gmail calendar and then I can see the meetings on my Android device (Samsung Note8). I checked timezone and all seems ok. Outlook using UTC+2:00 and Google using GMT +3:00 (I live in Romania). Any help you can provide? Much appreciated!! !